Alexandra town bathed in sunrise crepuscular rays. Seen from Earnscleugh. 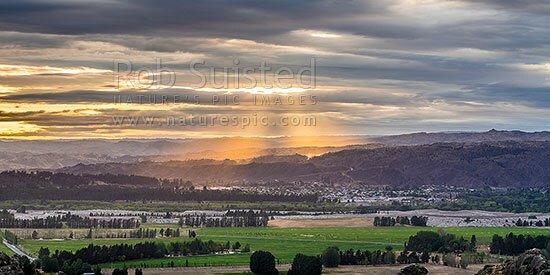 Panorama, Alexandra, Central Otago District, Otago Region, New Zealand (NZ), stock photo.